The first 2013 week-long block radio training for Cert II and Cert III is on now at QRAM. We deliver the training through the year in four week-long blocks,delivered in partnership with TAFE Queensland. 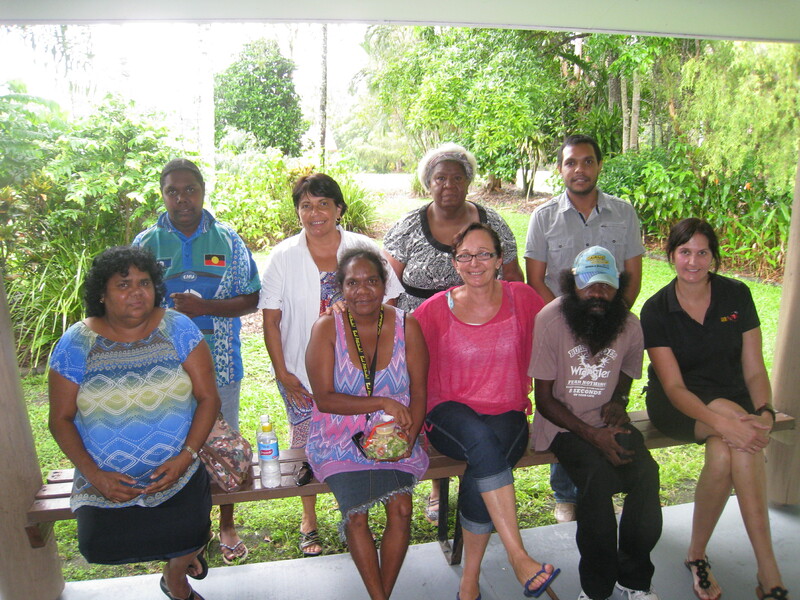 Students are from all over Cape York communities as well as some local students from the Cairns region. Long term trainer Mike “Locco” O’Lochlan has retired from training and as a long time breakfast announcer on 4CA in Cairns. “Locco” handed the reigns over to Juanita Soper, a highly qualified media trainer with many years working in radio and communications. The training team includes Gerry Pyne, technology; Ian Watson, recording sound; Mark Fuccilli, audio group work and Les Rault, occupational health and safety. Students learn on equipment in the Black Star Studio that is a mirror image of the equipment that is in their local radio stations. Student broadcasters learn about the new technology of the wide area network (WAN) that the broadband service provides and how to access all of the relevant dat, information and software tools required to make professional programs. QRAM has also provided an innovative approach to training by constructing a rack which mirrors the equipment in the local radio stations. When there is a fault at the community the station broadcaster can go to the rack and know precisely which pice of equipment is down and the broadcaster then can be guided through the steps of what to do to re boot the station. This innovative approach to training allows the station to get back on air quickly, and has the benefits of the technician not having to always travel out to communities for a costly maintenance visit. At the end of training students will receive the nationally recognised TAFE qualification Certificate III in Creative Industries. The Certificate is a starting point to a better opportunity to get a job in other parts of the community and not just the radio station.